We’ve had some great positive feedback from clients over the past fifteen years on our flagship legal technology product, LawWare Enterprise. Gavin Ward, consultant to LawCloud and Scottish lawyer joined us in September 2010 and, four months on, he shares his views on an important technical aspect of LawWare, together with his views on LawCloud, which houses the LawWare product in the cloud. Specific reference is made to key performance indicitors within the practice management software, benefits such as flexible working and scalability and also discussion of some of the current buzz from corners of the UK legal market on cloud computing. “Having joined LawWare four months ago, I thought it would be instructive and constructive to examine parts of the LawWare product, particularly as it stands within the new technology of LawCloud, as I see it from a legal perspective and to give my opinions on why I think it has performed well, particularly in the Scottish legal market, having retained around 180 law firm clients. LawWare is one of the most flexible legal technology providers in the UK. Enterprise, for instance, can automatically monitor any number of the 81 KPIs with which it has been programmed. Each lawyer who uses this has the ability to select those about which they want to be kept informed. They can also select the “warning” and “critical” thresholds that they want Enterprise to apply in such a way that risk is managed well for their practice. However, risk management is not confined to just fee earners; partners and managers can set KPIs that monitor either the firm-wide position, or members of their team or themselves only. When Managing Director Warren Wander announced this creation several years ago, he noted that “The idea of this automatic monitoring service came from our client base. Initially we were getting requests from different clients for reports and enquiry screens that they could use to check particular items (what we have termed as Key Performance Indicators or KPI’s). We realised that these were all variants of common themes and that we could put these altogether in a configurable fashion and let various members of staff choose what they wanted Enterprise to monitor for them. The result is amazingly simple – yet astonishingly powerful, whether you are Managing Partner, Practice Manager, Secretary or Cashier – there is something for everyone. The result is that Enterprise genuinely supports staff in their need to be informed about the KPI’s that affect them, without having to trawl the system themselves looking at various Enquiry Screens and running any number of Reports”. Firms as a whole can be confident that exposure to risk is dramatically reduced; firms’ clients can be just as confident. LawWare sits as an essential element of the LawCloud package. I thought it would, therefore, be beneficial to readers for me to summarise the main benefits of the LawCloud product itself as I see them. Risk management and practice management are two of the main considerations for practice managers of law firms. Given that LawCloud is hosted by a dedicated, green, UK-based server, practice managers can be assured of first class data protection, high availability storage and secure backup. Indeed, data protection is one of the hot topics at the moment in terms of legal issues of the cloud. In the Guardian’s article, “Keeping your legal head above the cloud”, published on 10 January 2010, Graham Hann, partner at Taylor Wessing, a law firm that works with both providers and clients of cloud services, notes that data protection is one of the biggest areas of concern: “the primary issues are security, access and location. Data protection laws are very strong in the EU”. Ahead of the game with legal technology, LawCloud is based in the UK and complies with its obligations under the Data Protection 1998. Indeed, it has to comply with its obligations under the Data Protection Act 1998 or may face enforcement from the Information Commissioner. At the same time, it is recognised that law firms have an obligation to protect their own clients’ data under data protection legislation. In light of this, law firms should be confident that LawCloud can provide protection against some of the most signficant risks facing them; if a law firm gets it wrong it may end up like ACS Law and its catastrophic data protection failings in 2010. 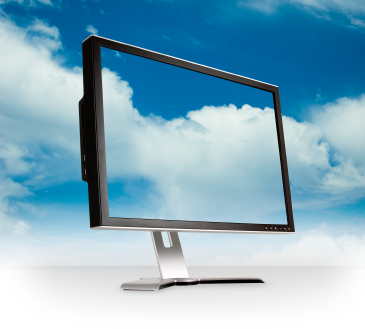 Cloud computing grants flexible access to high-tech applications without software having to be delivered in a box. The world has been seeing cloud applications launching for the past few years, including e.g. gmail for email, dropbox for electronic document storage, or Amazon Web Services as a public cloud provider, which recently hosted then removed Wikileaks. Now, legal practice management software is available in the cloud for a low fixed monthly subscription fee. This is a particularly big benefit for start-up legal practices. For the associate or partner or indeed team of associates or partners looking to break away from their current law firm in the recession, LawCloud is ideal as it lets them acquire their own legal IT infrastructure within a day without a large upfront payment. Nevertheless, growing practices and traditional law firms will also feel the benefits. Whether at home, office, court (if the judge agrees), meeting or travelling, cloud computing lets lawyers access their legal IT securely from their desktops, laptops, iPhone or BlackBerries provided they have a working Internet connection. In addition to benefitting lawyers on the move across the country, or countries, remote access to the legal IT infrastructure provided by LawCloud means that law firms looking to expand into new offices can do so without having to worry about completely new IT systems; an Internet connection will suffice. I thought it would be pertinent to finish by taking a look at what some of the top legal commentators and practitioners are saying about cloud computing, looking forward to 2011. If you’d like more information on any of this, I, or any of my colleagues at LawCloud, would be happy to discuss. Call us on 0845 2020 577 or find us at http://www.lawware.co.uk on Twitter or our new open group on Linkedin, “Cloud for Lawyers”.